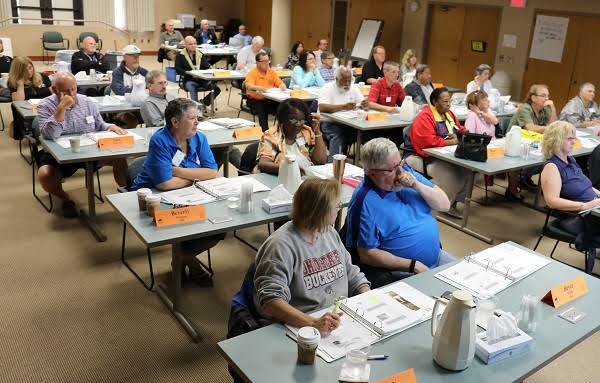 The deadline is January 6, 2018 to register for the IAM Retirees Department Retirees Education & Strategy Program (RESP) to be held March 4–9, 2018 at the William W. Winpisinger Education and Technology Center in Hollywood, MD. The official call letter and registration forms are available in English and French. The documents include all required information and procedures. The program is designed for retired members, spouses and those ready to retire from across the U.S. and Canada. It brings them together to develop ways to maintain active roles in the union and the community throughout retired life. As part of the program, participants will visit to elected officials in Washington, DC. Don’t miss this opportunity to keep active in the IAM continue your personal growth. For more information about this and other related programs, please contact the IAM Retirees and Employee Assistance Programs Department.